Nasim Pedrad Photos, News, and Videos | Just Jared Jr.
Disney is sharing “A Whole New World” with fans in the brand-new trailer for Aladdin! The film stars Will Smith as the Genie; Mena Massoud as Aladdin; Naomi Scott as Jasmine; Marwan Kenzari as Jafar; Navid Negahban as the Sultan; Nasim Pedrad as Dalia; and Billy Magnussen as Prince Anders. Aladdin flies into theaters on May 24. Disney's Live-Action 'Aladdin' Movie Casts Jafar, Announces New Character! There is some new casting news for the upcoming live-action remake of Disney’s classic film Aladdin! 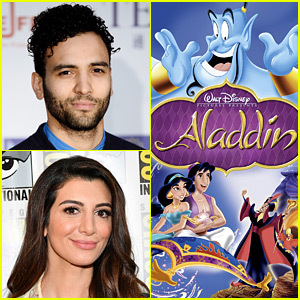 The role of Jafar is going to newcomer Marwan Kenzari while former Saturday Night Live and Scream Queens actress Nasim Pedrad is joining the cast in a new role created just for this movie. Nasim will play “Mara, the handmaiden and friend to Jasmine. The part is described as a comedic supporting role,” according to THR. 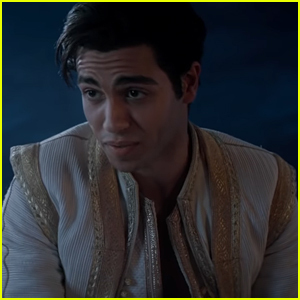 Also starring in the upcoming movie are Mena Massoud as Aladdin, Naomi Scott as Jasmine, and Will Smith as the Genie. Guy Ritchie is directing. Emma Roberts rocks a floral print mini-dress on the red carpet for the premiere of Scream Queens on Monday night (September 21) at the Wilshire Ebell Theatre in Los Angeles. The 24-year-old actress’ rumored on-again boyfriend Evan Peters was also spotted at the premiere. Other stars from the series also made their way down the carpet including Skyler Samuels, Keke Palmer, Abigail Breslin, Billie Lourd, Nasim Pedrad and Niecy Nash. It looks like Jamie Lee Curtis couldn’t make it to the event, as the Red Devil posed with a cardboard cutout of the actress. Scream Queens premieres on September 22nd on FOX. FYI: Emma is wearing an Alexander McQueen dress and shoes and a Jennifer Meyer necklace. Evan is wearing a Montblanc watch. Keke is carrying an Edie Parker clutch. Billie is wearing Nicholas Kirkwood shoes. Emma Roberts & Lea Michele Are Terrified in 'Scream Queens' Main Title Sequence! Emma Roberts and Lea Michele let out their screams in the new “super-sized” main title sequence for their new Fox series Scream Queens. Series creator Ryan Murphy posted the new video sequence on his YouTube account. The new clip features all of the main stars of the show – Emma Roberts, Skyler Samuels, Lea Michele, Glen Powell, Diego Boneta, Abigail Breslin, and Keke Palmer – trying to escape the devil in the red mask. Other cast members who get mentions in the credits are Billie Lourd, Nasim Pedrad, Lucien Laviscount, and Jamie Lee Curtis. Make sure to check out the series premiere of Scream Queens on Tuesday, September 22. Lea Michele and her boyfriend Matthew Paetz walk hand in hand while stepping out for lunch together on Monday (March 23) in New Orleans, La. “#Nola #LivingTheFitLife #HappyandHealthy,” the 28-year-old actress tweeted on the same day after taking a hike with her beau. The next day, Lea was seen flashing a big smile while walking on the set of her upcoming Fox show Scream Queens. Lea was also joined by co-stars Abigail Breslin, Jamie Lee Curtis, Nasim Pedrad, and Skyler Smauels. Lea Michele Gets to Work on 'Scream Queens'! Lea Michele looks super cute in her pink outfit on the set of Scream Queens on Sunday afternoon (March 22) in New Orleans, La. The 28-year-old actress was joined that day by her co-stars Emma Roberts, Abigail Breslin, Keke Palmer, Jamie Lee Curtis, Nasim Pedrad, and Lucien Laviscount. “Early morning Sunday shoot for #ScreamQueens today! Cant wait for you guys to see what we’re up to here! #WorkingWeekend,” Lea tweeted.